General Motors is recalling certain Corvette models equipped with removal roofs. The adhesive between the roof panel and the frame could separate and could detach from the vehicle, possibly causing an accident. Dealers will install a newly-designed roof panel free of charge when the recall begins in January 2010. Affected models are 2005-2007 Corvette and 2005-2006 Corvette Z06s with removable roofs. Owners may contact Chevrolet at 1-800-630-2438 or at www.gmownercenter.com. Consumers may contact the National Highway Traffic Safety Administration (NHTSA) at 1-888-327-4236 (TTY: 1-800-424-9153) or at www.safercar.gov. Dorel Juvenile Group is recalling about 213,000 Safety 1st Disney Care Center play yards and Eddie Bauer Complete Care play yards. The one-piece metal bars supporting the floorboard of the bassinet attachment can come out of the fabric sleeves and create an uneven sleeping surface, posing a risk of suffocation or positional asphyxiation. The play yards are portable and were sold with a bassinet attachment and a built-in changing station. Models included in this recall are 05025, 05026, 05037, 05088 and 05350. The model number is printed on a sticker on one of the support legs underneath the play yard. Safety 1st or Eddie Bauer are printed near the bottom of the fabric sides of the play yards. The play yards, made in China, was sold at Babies R Us, Kmart, Sears, Target and Walmart from January 2007 through October 2009 for between $100 and $130. Consumers should immediately stop using the bassinet attachment to the play yard and contact Dorel Juvenile Group for a free repair kit including replacement bassinet fabric, bassinet bars and installation instructions. For additional information, contact Dorel Juvenile Group toll-free at (866) 762-2166 between 8 a.m. and 5 p.m. ET Monday through Thursday, 8 a.m. and 4:30 p.m. ET Friday, or visit the firms Web site www.djgusa.com. W.S. Badcock Corp. is recalling about 1,250 Vintage Verandah patio fireplaces. A paint used to finish the exterior shell may catch fire, posing a fire hazard to consumers. The company has received one report of the exterior shell catching fire. No injuries were reported. The recalled fireplace is made of black metal with wire mesh sides, a black metal cap and chimney, and a metal grate with two (2) accessory tools. The fireplaces were sold at Badcock Home Furniture and Badcock Home Furnishings Center stores from September 2008 to November 2009 for about $300. They were made in China. Consumers should stop using the fireplaces immediately and return them to their local Badcock store or place of purchase. For more information, contact your local Badcock store or W.S. Badcock Corporations Corporate call center at 1-800-223-2625 from 8:00 a.m. to 7 p.m. Monday through Friday and 9:00 am. To 6:00 p.m. on Saturday (EST) or visit the firms Web site at www.badcock.com. IKEA is recalling LEOPARD highchairs, The company said the snap locks used to secure the seat to the frame can break and allow the seat and child to drop through the frame, posing a fall hazard to young children. Detached snap locks can pose a choking hazard to young children. IKEA has received 11 reports worldwide of failing snap locks, including one report of a child falling through the frame and suffering bruised legs. In addition, the firm has one report of a child mouthing a detached snap lock. No incidents have been reported in the United States. This recall involves all colors of the LEOPARD highchairs sold as a seat and a frame individually. The seat and tray has an adhesive label affixed to the underside with the words LEOPARD and Made in Italy, an eight-digit article number and a five-digit supplier number (19589). The highchairs were sold exclusively at IKEA stores nationwide from October 2009 through November 2009 for about $60. The frame sold for $40 and the seat for $20. They were made in Italy. Consumers should immediately stop using the highchairs and return them to any IKEA store for a full refund. For additional information, contact IKEA toll-free at (888) 966-4532 anytime, or visit the firms Web site at www.ikea-usa.com. Whole Foods Market is recalling several batches of organic raw hazelnuts, also known as "filberts," that were sold in bulk to stores in several states, including California, Colorado, Kansas, New Mexico, Oregon, Utah, and Washington. The popular upscale supermarket chain, in a recorded announcement, said the hazelnuts were recalled due to possible contamination with Salmonella. Non-organic dry roasted hazelnuts (filberts) sold in bulk through its stores in California, Nevada, Oregon and Washington. Non-organic raw hazelnuts (filberts) sold in bulk through its stores in Oregon and Washington. The possible contamination was discovered during a routine sweep of one of the company's production facilities, and no illnesses have been reported, the company said. It is unknown if the recall is related to the separate recall of 32,950 pounds of hazelnuts sold by Kunze Farms of Dayton, Oregon, reported on December 17 by the Food and Drug Administration (FDA). During another routine inspection of the plant which processed the nuts, the FDA found evidence of contamination. Whole Foods spokespersons were not immediately available for comment.  Willamette Filbert Growers of Newberg, OR is recalling 29,861 lbs of its Shelled Hazelnuts and Shelled Organic Hazelnut products. Salmonella was found on one production lot at the facility where Willamette Filbert Grower's hazelnuts were shelled. The company is recalling all hazelnuts processed from October 12, 2009, through November 25th, 2009. Shelled Hazelnuts and Shelled Organic Hazelnuts were distributed in Oregon and California through wholesale distributors and direct delivery. All products subject to recall were packed in 25 lbs. corrugated boxes bearing Willamette Filbert Growers or Meridian Organic Hazelnuts labeled with lot code numbers 289091A and 311091A. - Raw hazelnut kernels packed in 25 pound corrugated boxes with lot code numbers 299091A and 296091A. - Dry roasted hazelnut kernels packed in 25 pound corrugated boxes with lot code numbers 299091A and 296091A. - 8 ounce, 2.5 pound, and 5 pound packages of raw hazelnut kernels in clear plastic packages, bearing no lot code. Shipped in corrugated boxes with lot code numbers 299091A and 296091A. - 4 ounce, 8 ounce, 2.5 pound, and 5 pound packages of dry roasted, salt free, hazelnut kernels in clear plastic packages, bearing no lot code. Shipped in corrugated boxes with lot code numbers 299091A and 296091A. No illnesses have been reported in either recall. Salmonella is a bacterial organism that can cause serious and often fatal infections in young people, the elderly, and those with weakened immune systems. The Consumer Product Safety Commission (CPSC) is not quite ready to begin mandated testing and certification of many regulated children's products. As a result, the Commission voted unanimously today to extend a "stay of enforcement" for another year. While enforcement of specific CPSC testing requirements has been stayed, the products must still comply with all applicable rules and bans, the Commission said. Categories covered by the stay of enforcement include children's toys and child care articles with banned phthalates, children's toys subject to ASTM's F-963 toy safety standard, caps and toy guns, clacker balls, baby walkers, bath seats, other durable infant products, electrically-operated toys, youth all-terrain vehicles, youth mattresses, children's bicycles, carpets and rugs, vinyl plastic film and children's sleepwear. The stay of enforcement will remain in effect for these children's products while CPSC continues to work toward recognizing labs. At present, not enough labs have been certified. Independent third party testing and certification will only be required for these categories of children's products 90 days after the CPSC publishes the laboratory accreditation requirements for any individual category in the Federal Register. At the same time, the CPSC voted 4-1 to extend the stay on certification and third party testing for children's products subject to lead content limits until February 10, 2011. Under this decision, products must still meet the 300 ppm lead limit now, but certification and third party testing to show compliance will be required for all childrens products manufactured after February 10, 2011. A childrens product is one that is primarily intended for children 12 and younger. Meanwhile, the stay will end on schedule, on February 10, 2010, for four children's products: bicycle helmets, bunk beds, infant rattles and dive sticks. These children's products, manufactured after February 10, 2010, will be required to have certification based on independent third party testing. The testing must be conducted by a laboratory recognized by CPSC. Under the regulations, different rules apply to non-children's products. Domestic manufacturers and importers are not required to test non-children's products using an independent third party lab. However, they must certify that non-children's products comply with applicable CPSC regulations by issuing a general certificate of conformity (GCC)based on a reasonable testing program. The testing was mandated by law after a string of highly publicized toy recalls, many involving lead paint. A GCC will be required for some non-children's products manufactured after February 10, 2010. These products include architectural glazing materials, ATVs, adult bunk beds, candles with metal wicks, CB antennas, contact adhesives, cigarette lighters, multi-purpose lighters, matchbooks, garage door openers, portable gas containers, lawn mowers, mattresses, unstable refuse bins, refrigerator door latches, swimming pool slides, products subject to regulations under the Poison Prevention Packaging Act (PPPA), paint and household furniture subject to lead paint regulations. The stay of enforcement will remain in effect for certain categories of non-children's products including adult bicycles, carpets and rugs, vinyl plastic film and wearing apparel. General certificates of conformity are currently required for pool drain covers. Additionally, products that require labeling under the Federal Hazardous Substances Act (FHSA) or labeling rules will not require additional certification to those regulations. The CPSC says that while the stay of enforcement remains in effect for the certification and testing requirements for certain products, all products must comply with the safety standards and bans of the law, including the limits for lead content, lead paint, the ban on certain phthalates and the ASTM F-963 mandatory toy standard. The Home Depot is recalling about 2,000 Hampton Bay dehumidifiers. An internal component can fail causing the dehumidifier to overheat, posing fire and burn hazards to consumers. Home Depot has received 18 reports of the dehumidifiers catching fire. One consumer reported a burn injury to his forearm. The dehumidifiers are beige, have four wheels, and measure 21 inches high, 13 inches wide and 17 inches long. Hampton Bay is printed on the front panel. Model HB-50 is being recalled. The model number is printed on the back interior panel. The units, made in China, wer sold at The Home Depot from November 2000 through May 2007 for between $120 and $150. Consumers should immediately stop using the recalled dehumidifiers and contact Home Depot to receive a gift card for the full amount of the purchase price. For additional information, contact The Home Depot at (800) 553-3199 between 8:30 a.m. and 5:30 p.m. ET Monday through Friday, or visit the firms Web site at www.homedepot.com. Precious Moments Inc. is recalling about 4,300 Angel tree toppers. Undersized wiring can cause the tree toppers switch assembly to overheat and melt posing a fire hazard. Precious Moments has received two reported incident involving the tree topper overheating. No injuries have been reported. The recalled tree toppers are 10 inch tall vinyl angels with LED lighted wings. The angels are white, gold and yellow and they are holding either a star or a set of bells. The tree toppers, made in China, were sold at Menards, Shopko and Blains Farm and Fleet nationwide from August 2009 through December 2009 for about $18. Consumers should immediately stop using the tree toppers and return them to the place of purchase for a full refund. For additional information, contact Precious Moments at (877) 778-7275 between 8 a.m. and 6 p.m. CT, or visit the firms Web site at www.preciousmoments.com. Subaru is recalling 5,700 Impreza WRX cars from the 2002 and 2003 model years. The recall applies only to cars in cold-weather states. The company said extremely cold temperatures could cause fuel leaks in the fuel line, possibly resulting in a fire. Dealers will replace the fuel line free of charge. Owners may contact Subaru at 1-800-782-2783. The recall applies only to cars sold or currently registered in South Dakota, Nebraska, North Dakota, Minnesota, Idaho, Iowa, Montana, Colorado, Wisconsin, New York, Wyoming, Michigan, Alaska, New Hampshire, Vermont and Maine. MTD is recalling about 28,000 log splitters sold in the United States and Canada. The control handle of the log splitter could fail to automatically return to the neutral position as it should and could fail to stop the splitting wedge from moving forward, posing a risk of amputation to consumers hands and fingers. The following log splitter brand names and model numbers are included in this recall. They were sold in red, black and yellow in 21, 25, 27 and 33 ton models. The model number is located on the frame near the engine. Log splitters manufactured from November 2008 through October 2009 are included in this recall. Only models with certain serial numbers are included in this recall. Additional recalled log splitter models were sold in Canada. See the Canadian press release with Canadian model information. The splitters, made in the United States, were sold at Home Depot, Lowes, Menards, Sears, Walmart, hardware stores and by independent dealers from November 2008 through October 2009 for between $1,000 and $2,300. 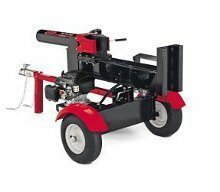 Consumers should immediately stop using the recalled log splitters and contact MTD Products Inc. to determine if their log splitter is included in the recall, to receive inspection instructions and to receive a free repair if needed. 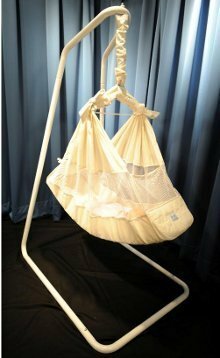 About 24,000 Amby Baby motion bed hammocks are being recalled after two infants were suffocated. Safety regulators said the side-to-side shifting or tilting of the hammock can cause the infant to roll and become entrapped or wedged against the hammocks fabric or mattress pad. Amby Baby said it is aware of two infant suffocation deaths in the Amby Baby hammock. In June 2009, a 4-month-old girl in Lawrenceville, Ga died in a baby hammock and in August 2009, a 5-month-old boy from Gresham, Ore. The Amby Baby Motion Bed consists of a steel frame and a fabric hammock which are connected by a large spring and metal crossbar. There is only one model of the hammock available which can be identified by a label sewn onto the hammock stating: Amby Babies Love It, Naturally. The beds, made in China, were sold onle at Ambybaby.com and other Internet retailers from January 2003 through October 2009 for about $250. Consumers should immediately stop using the Amby Baby motion beds/hammocks and contact Amby Baby USA for a free repair kit. Parents and caregivers are urged to find an alternative, safe sleeping environment for their baby. For additional information, contact Amby Baby USA toll-free at (866) 544-9721 between 9 a.m. and 5p.m. ET Monday through Friday or visit the firms Web site at www.ambybaby.com. BRP is recalling about 2,400 model year 2010 Can-Am all-terrain vehicles. The dynamic power steering can fail, resulting in the sudden loss of steering control. This poses a risk of injury or death to riders. The firm has received one incident report with no injury no material damages. The ATVs were sold by authorized Can-Am dealers nationwide from August 2009 through November 2009 for between $6,800 and $13,500. They were made in Mexico. Consumers should immediately stop using these vehicles and contact any Can-Am dealer to schedule a free repair. Consumers are being sent a direct notice from BRP.